Nona Jane Hickson, also known as Jane Hickson, a devoted mother, wife, retired floral designer, and highly accomplished cook, passed away suddenly on July 3, 2000 in Mobile, AL, after suffering a massive heart attack and stroke the day before. She was a resident of Mobile, AL, since 1992, though she was born and lived most of her life in Memphis, TN. She is survived by her husband, Mr. David Keith Hickson, Sr. (also of Mobile), her son William F. Slater, III of Chicago, IL, her son Michael David Apperson Slater of St. Paul, MN, her daughter, Sheryl Slater Lum of Baton Rouge, LA, her son David Keith Hickson, Jr., also of Mobile, AL, and a sister, Ann Katherine Boston of Memphis, TN. 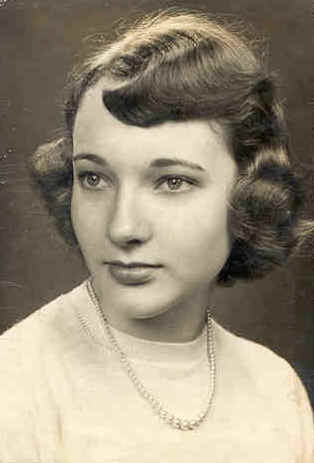 Another daughter, Dana Katherine Hickson, preceded Mrs. Hickson in death, in August 1991, which was a loss from which she and her husband never completely recovered. Mrs. Hickson also leaves four grandchildren: Angela Slater, Chelsea Slater, Jennifer Lum, and Brennan Lum. Mrs. Hickson was the eldest daughter of D.C. Apperson and Nona Apperson Petherbridge, both of whom were from Memphis, TN and both of whom are deceased. Never without an opinion on the matters of everyday life, Mrs. Hickson was known for her quick-minded, outspoken view of the world. In spite of failing health over the past several years, she maintained a positive outlook on life and her living situation, which largely confined her to her home since 1993. Ever the dedicated mother, Mrs. Hickson was most proud of the accomplishments of her children and often told them so. She taught her children honesty, integrity, compassion, consideration of others, and to be friendly and well-mannered. She always felt like her children were her legacy to the world. Mrs. Hickson loved life and people, and always proudly claimed that she never met a stranger. She had a wonderful, outgoing personality, and loved reaching out to people and putting them at ease with her warm, hospitable nature. She will be sorely missed as a friend, a wise counsel, and a great mother and grandmother. Funeral arrangements are pending and private.